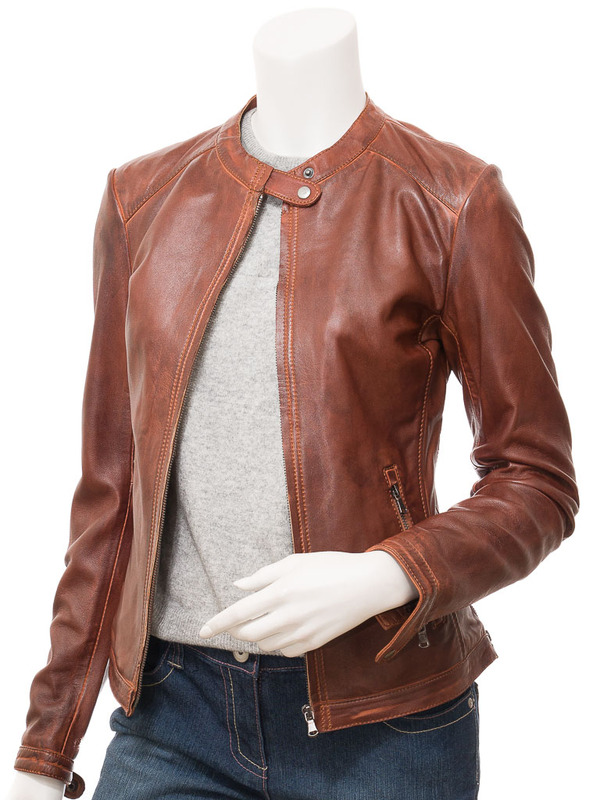 A gorgeous leather biker jacket in a rich tan colourway. 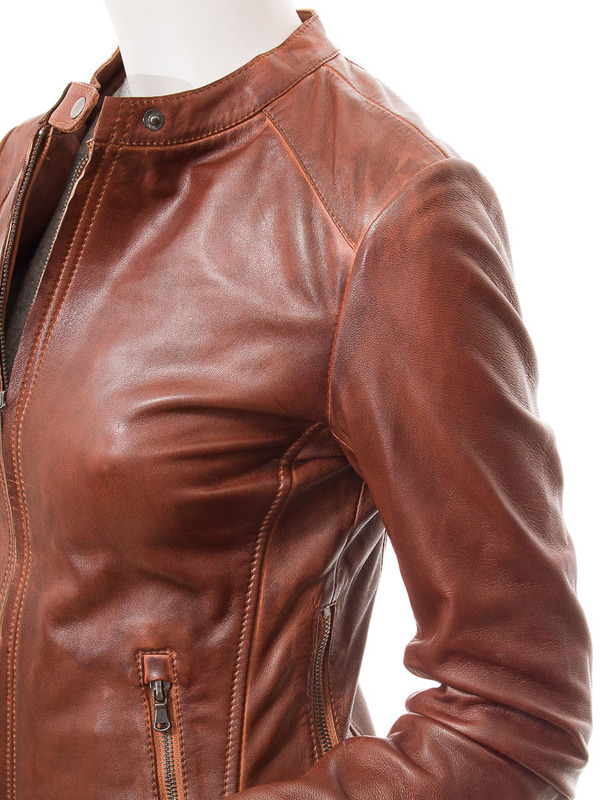 Created from an ultra soft and supple sheep aniline leather, this jacket has an incredible depth of colour. 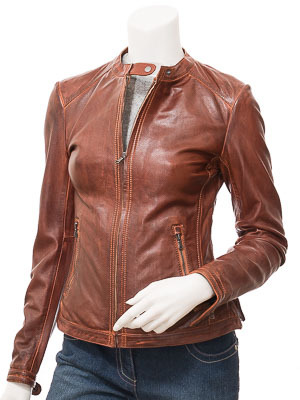 It is the classic cafe biker design with a concealed YKK zip front leading to a tab collar and two zipped pockets at the waist. The cuffs are zip gauntlets. 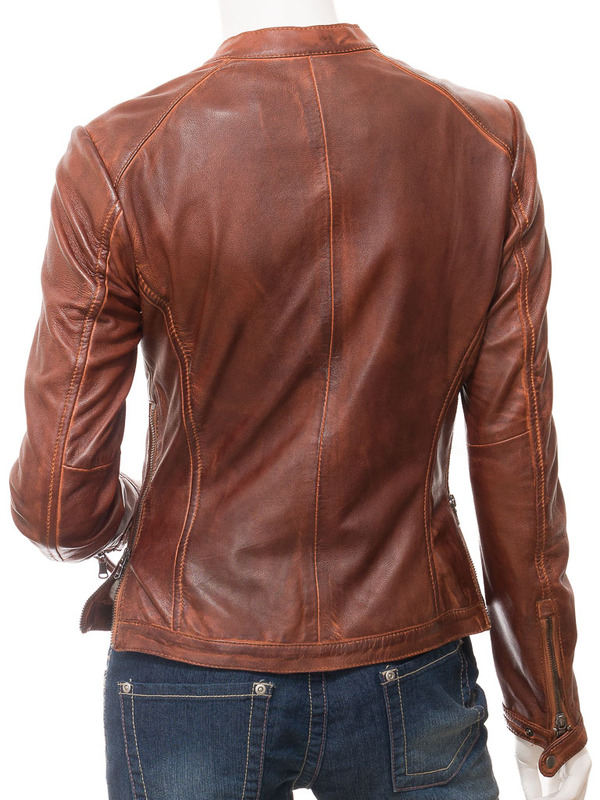 The profile is fitted to the body but the jacket includes two zipped vents at the side seam to allow adjustment for all body shapes. 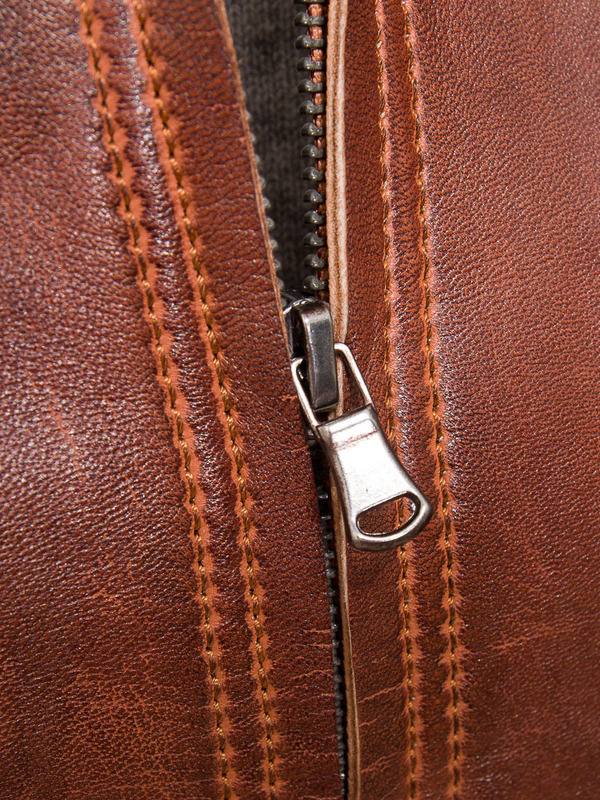 Inside the jacket is fully satin lined.